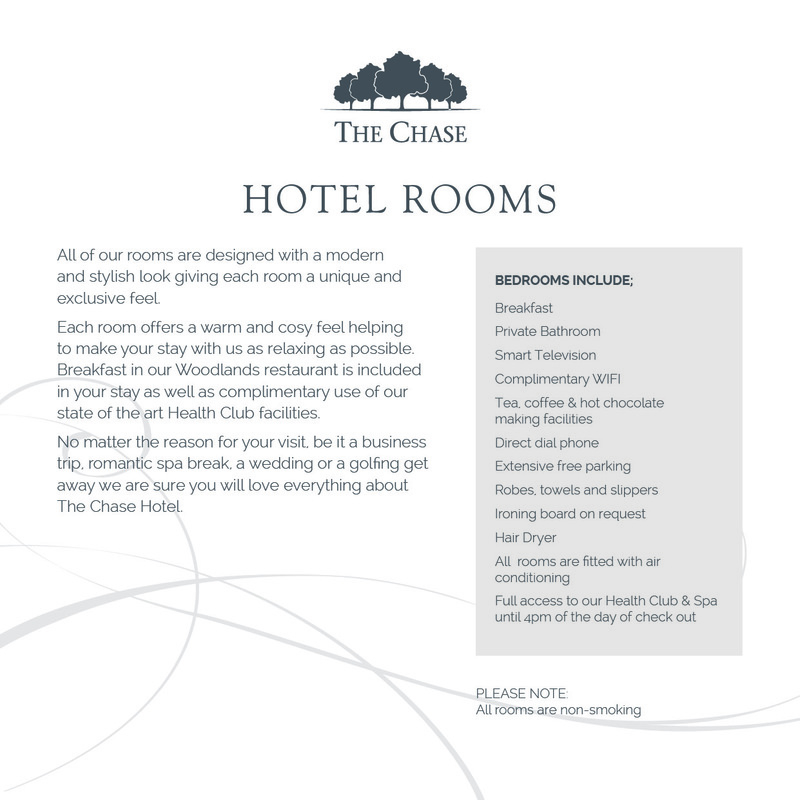 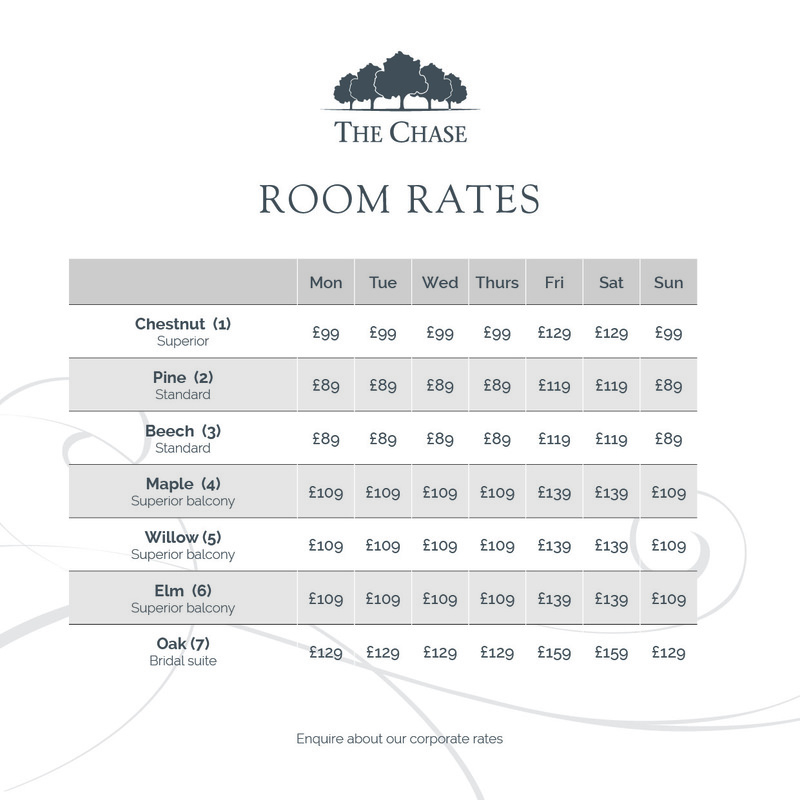 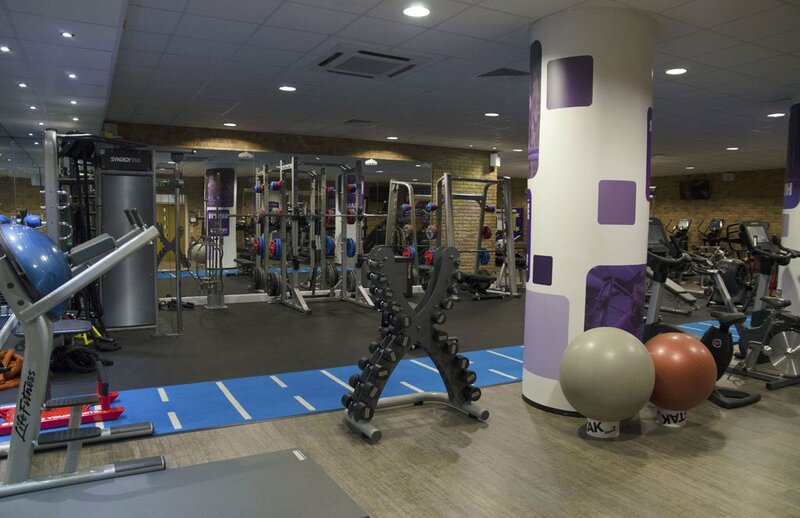 Here at The Chase we have two well equipped, fully air-conditioned studios with sports performance floors. 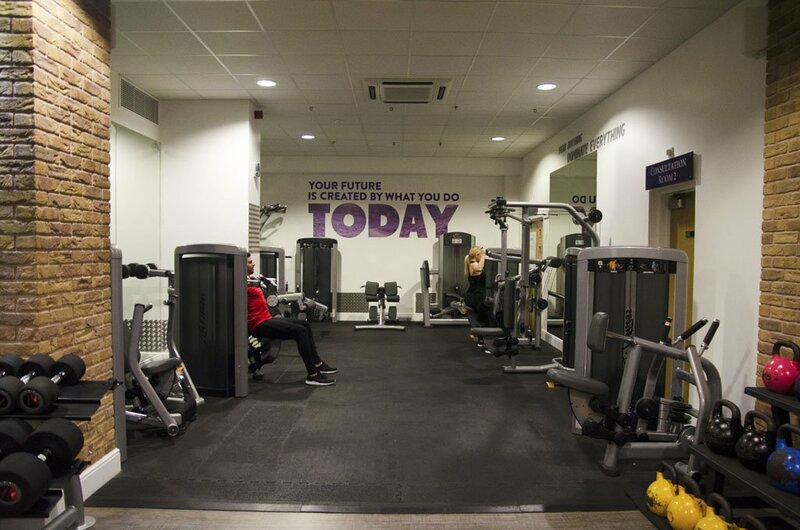 Our timetable has 40+ classes a week, all of which are led by our team of fully qualified instructors, offering a varied selection of classes to suit all levels of fitness. 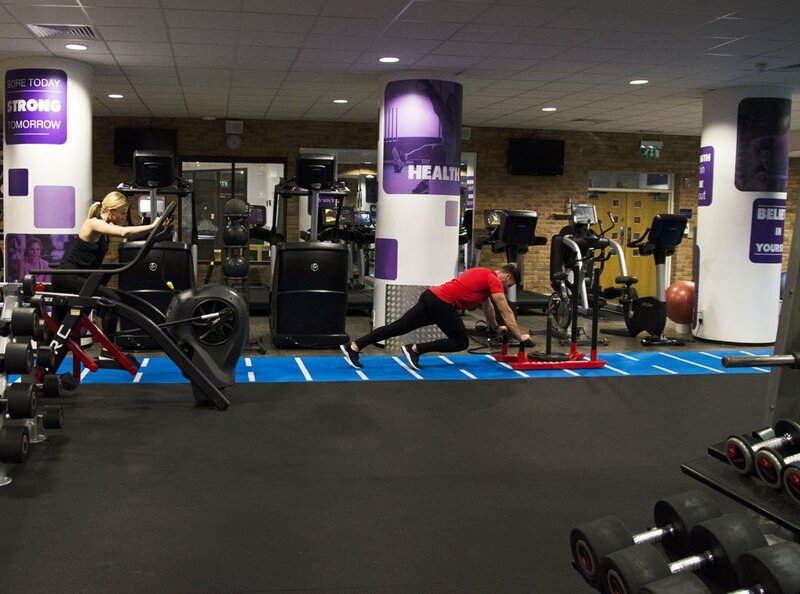 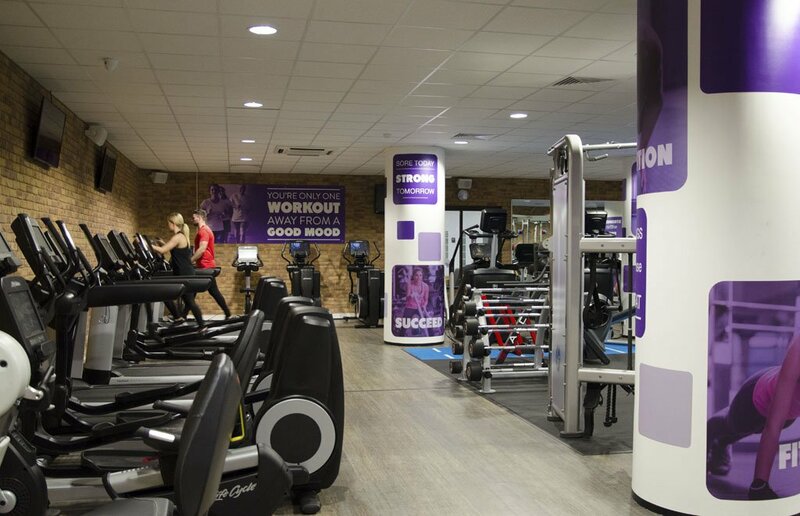 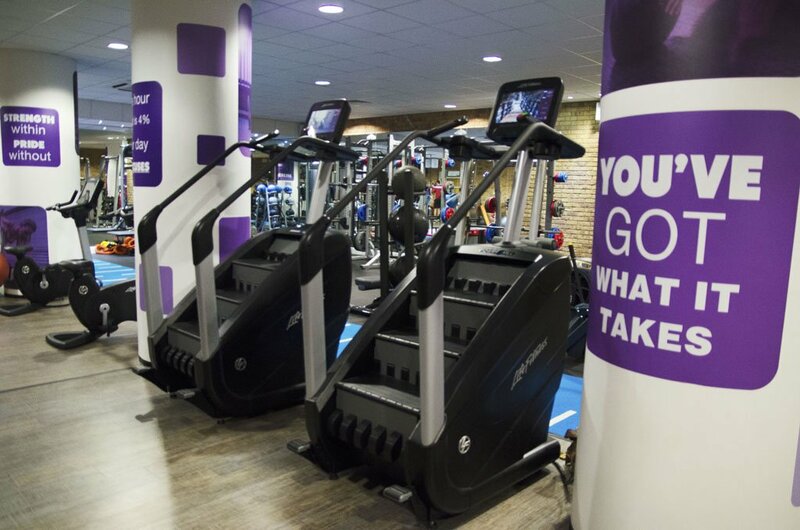 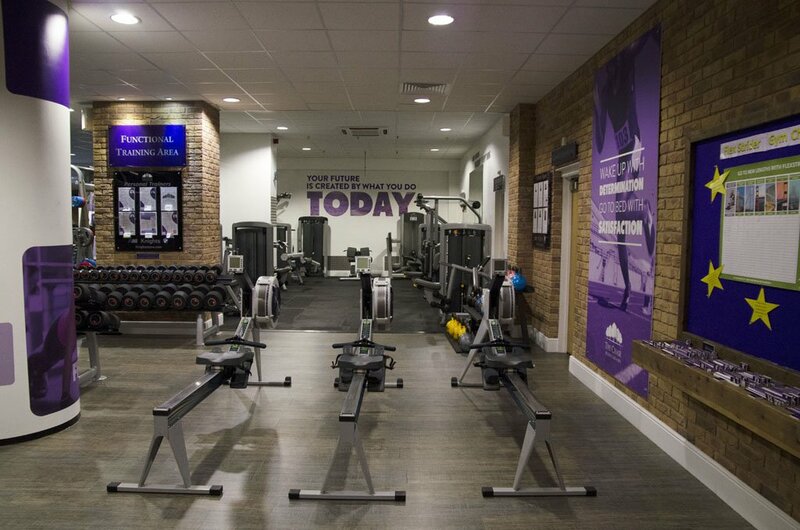 We offer Cardio/Calorie burning classes such as step, indoor cycling, circuits & BodyCombat. 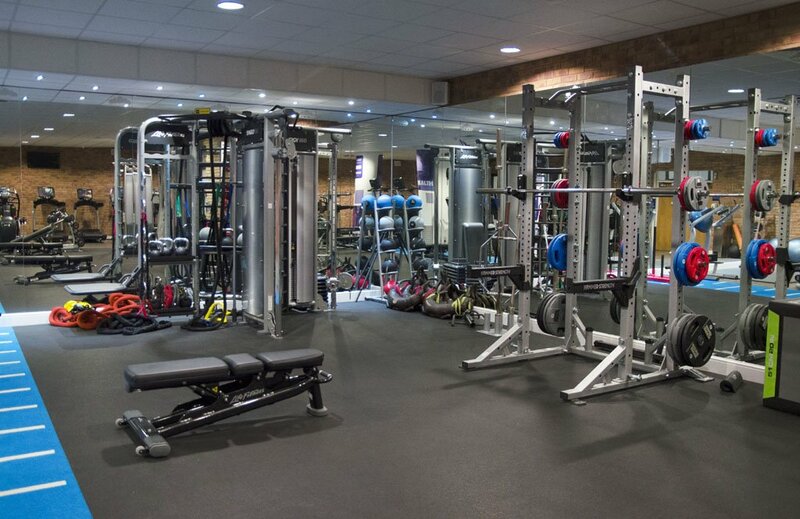 If you are looking for conditioning & toning classes, we offer Legs, Bums & Tums, BodyPump, Body Conditioning and ab training classes. 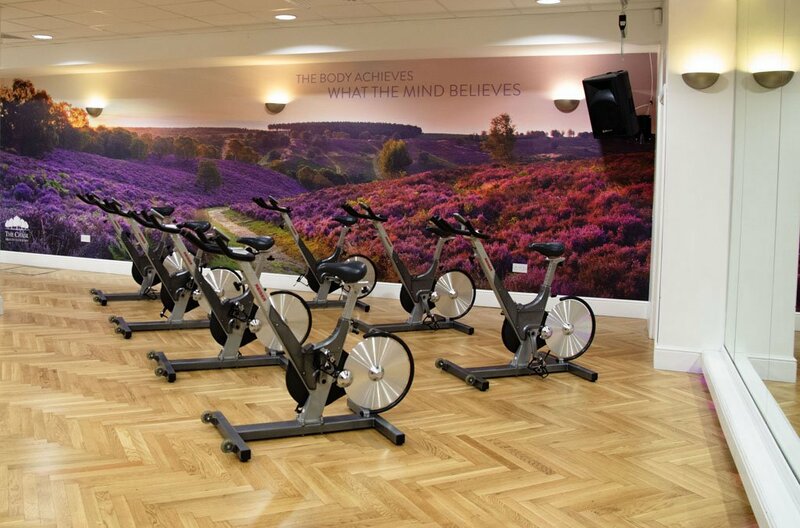 In addition we also offer dance specialist classes such as our own branded ‘Chase Dance’ class, Dance fusion & Sh’bam and finally our Relax/re-energise programme includes specialist pilates, yoga, meditation & BodyBalance. 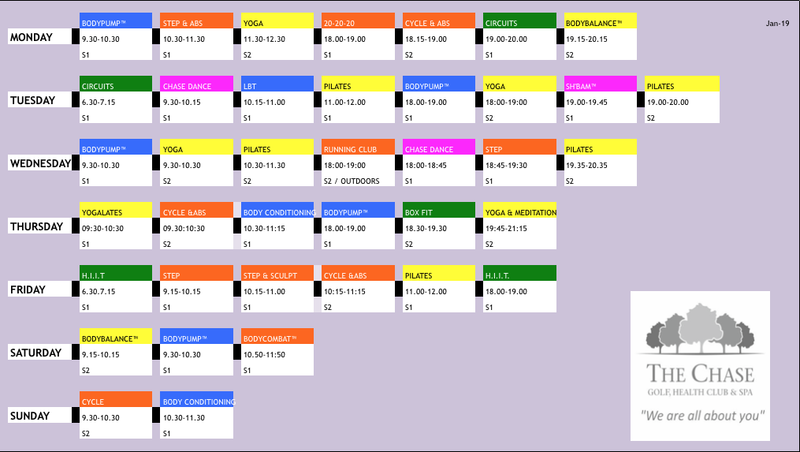 *Classes are bookable online, via telephone or at reception 6 days in advance. 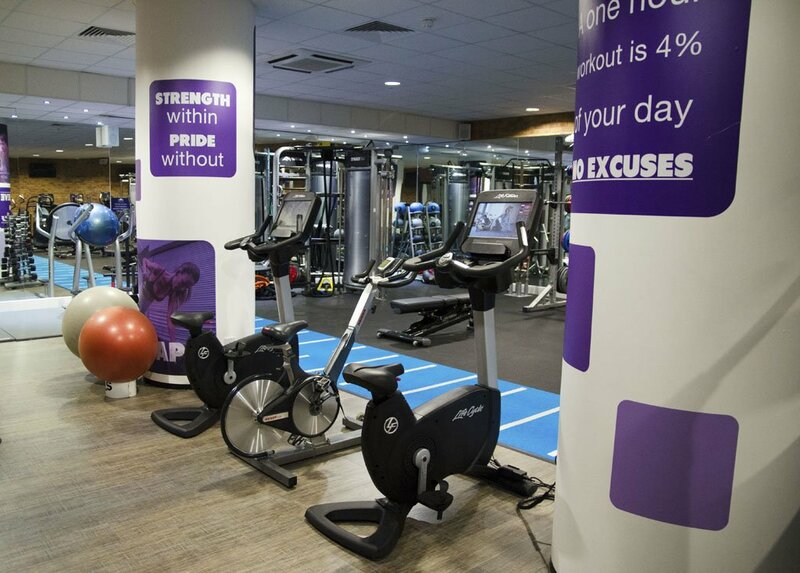 Numbers are limited to ensure a safe environment. 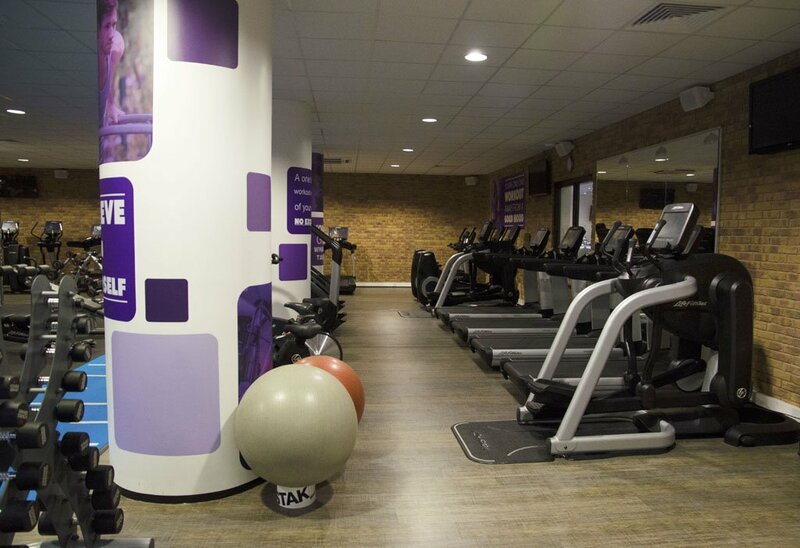 We ask that attendees arrive 5 minutes before the class to ensure a prompt start / less disruption.